Asiad Steels is one of the popular manufacturer and suppliers of Titanium Gr.5 Bolts, which is alloyed with 6% Aluminium and 4% Vanadium and is commonly known as Ti 6Al-4V. Meanwhile, the essential difference between Ti6Al4V ELI (grade 23) and Ti6Al4V (grade 5) is the reduction of oxygen content to 0.13% (maximum) in grade 23. Like most titanium alloys, Titanium Gr.5 Hex Bolts has outstanding resistance to corrosion in most natural and many industrial process environments. One of the most important characteristics of Titanium Gr.5 Heavy Hex Bolts, though, is that it is heat treatable and most can even be welded. 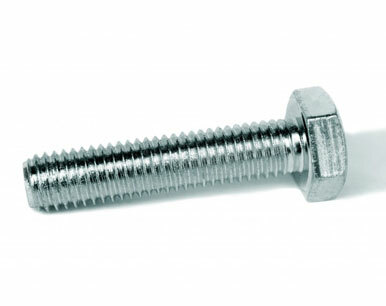 Neither grade of Titanium Gr.5 Square Bolts has corrosion properties quite as good as CP titanium, but both are corrosion resistant in seawater, oxidizing acids, aqueous chlorides, wet chlorine gas, and sodium hypochlorite. 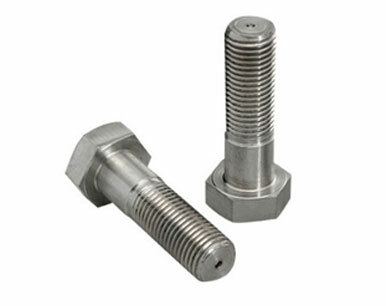 By extensively qualifying this process, we can consistently deliver high quality of Titanium Gr.5 Round Head Bolts to medical market and other markets with critical performance requirements. Titanium Gr.5 Hex Screws is a two phase alpha and beta grade of titanium and is the most widely used of all the titanium grades. 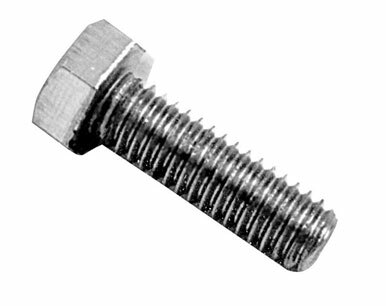 Titanium Gr.5 Hex Cap Screws is the most commonly used alloy. Titanium Gr.5 Socket Cap Screws is significantly stronger than other commercially pure titanium whilst still retaining the same stiffness and thermal properties (excluding thermal conductivity). Our expertise in global logistics enables us to source Titanium Gr.5 Allen Cap Screws from anywhere in the world in a matter of days and provide fast shipping solutions to all our customers, whichever country they are in. Buy Titanium Grade 5 Boltsat reasonable rates from us. We are Exporter of Titanium Gr 5 Bolts in Worldwide Such as India, Nepal, Costa Rica, Belgium, Iraq, Finland, France, Australia, Japan, Malaysia, Bahrain, Peru, Serbia, Chile, Germany, Thailand, Ecuador, Angola, Sweden, Trinidad & Tobago,Tunisia, China, Mexico, Ukraine, Bolivia, Chile, Romania, Afghanistan, Croatia, Yemen, Azerbaijan, Kenya, Venezuela, Poland, Denmark, Colombia, Gambia, Zimbabwe, Austria, Belarus, Slovakia, Egypt, Taiwan, Hong Kong, United Arab Emirates, Norway, Switzerland, Saudi Arabia, Poland, Philippines, Spain, Morocco, Gabon, India, Bulgaria, Qatar, Iran, Namibia, Russia, Bhutan, Macau, Singapore, Ireland, Jordan, Israel, South Korea, Kazakhstan, Libya, Italy, Bangladesh, United Kingdom, Czech Republic, Ghana, Oman, Argentina, South Africa, Lebanon, Turkey, New Zealand, Nigeria, Lithuania, Algeria, United States, Pakistan, Mongolia, Sri Lanka, Nigeria, Tibet, Canada, Netherlands, Estonia, Kuwait, Puerto Rico, Brazil, Greece, Indonesia, Mexico, Vietnam, Iran, Portugal, Hungary. 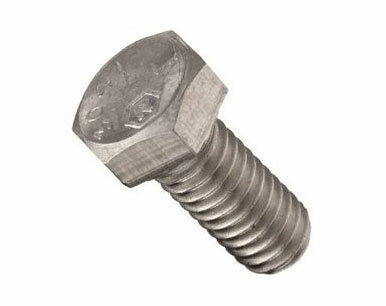 We are Suppliers of Ti Alloy Grade 5 Bolt in India Such as Mumbai, Gimhae-si, Courbevoie, Noida, Abu Dhabi, Riyadh, Edmonton, Montreal, Karachi, Ulsan, Granada, Busan, Lagos, Dallas, Hyderabad, Nagpur, Sydney, Ranchi, Kanpur, Jamshedpur, Visakhapatnam, Ahmedabad, Chennai, Thiruvananthapuram, Secunderabad, Doha, Aberdeen, Haryana, Navi Mumbai, Houston, Gurgaon, Ahvaz, Caracas, Chandigarh, Singapore, Bhopal, Hanoi, Dammam, Calgary, Surat, Colombo, Jeddah, Sharjah, Ludhiana, Moscow, Pimpri-Chinchwad, Cairo, Chiyoda, Mumbai, La Victoria, Muscat, Tehran, Faridabad, Al Khobar, Vadodara, Perth, Santiago, Algiers, Los Angeles, Thane, New Delhi, Toronto, Jaipur, Dubai, Pune, Ho Chi Minh City, Geoje-si, Bangkok, Ernakulam, Seoul, Rio de Janeiro, Bengaluru, Lahore, Bogota, Vung Tau, Coimbatore, Atyrau, Petaling Jaya, Kuala Lumpur, Kolkata, Baroda, Al Jubail, Howrah, Indore, Kuwait City, Port-of-Spain, New York, Rajkot, Madrid, Melbourne, Ankara, Mexico City, Hong Kong, Nashik, Brisbane, Jakarta, Milan, London, Istanbul, Manama.